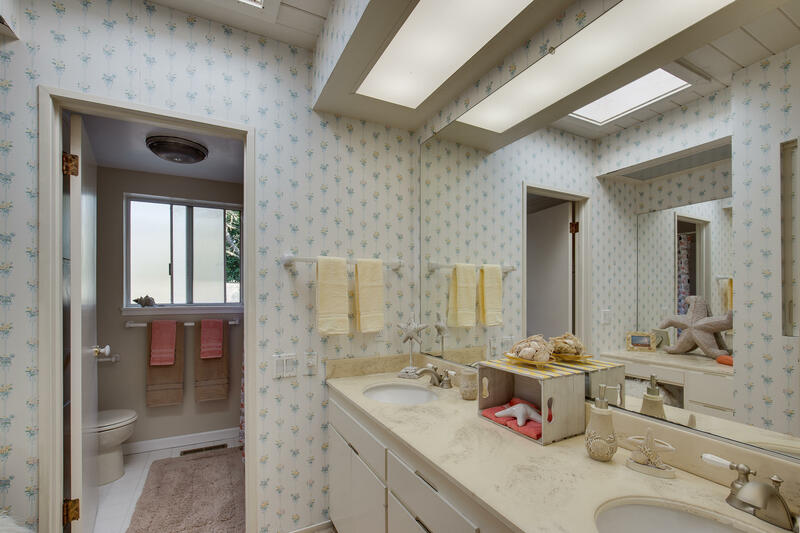 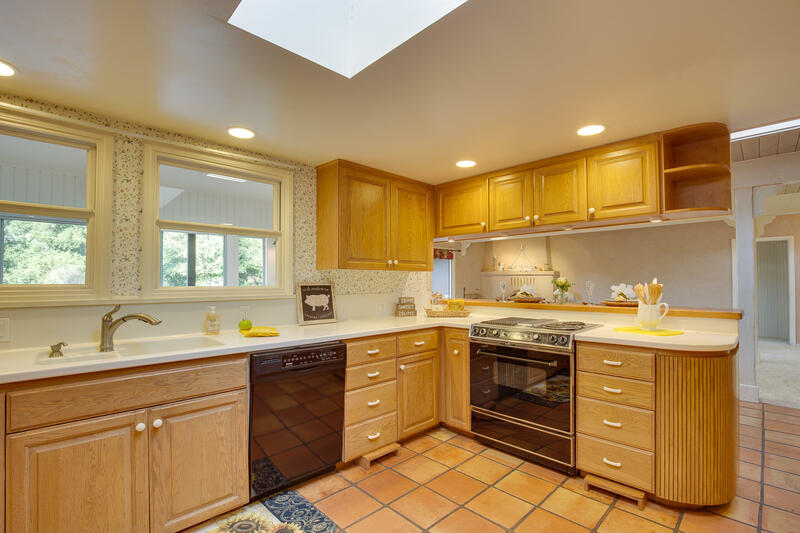 Prime and private location in highly desirable Janin Acres. 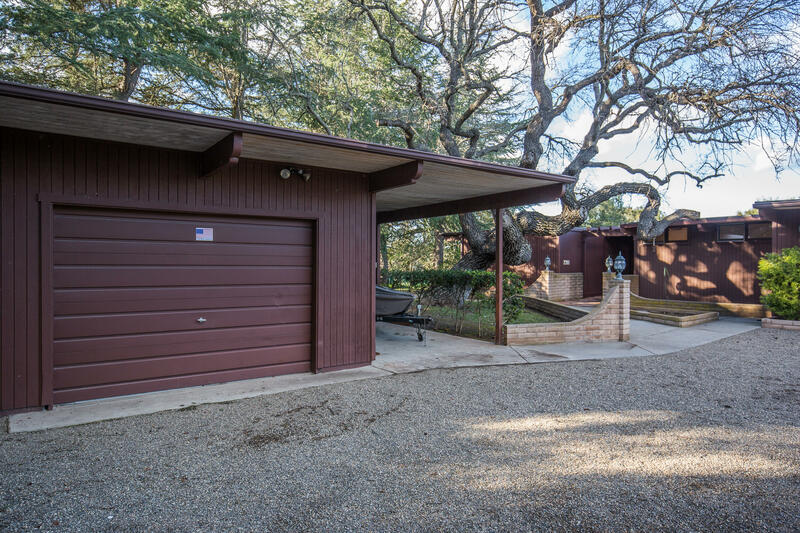 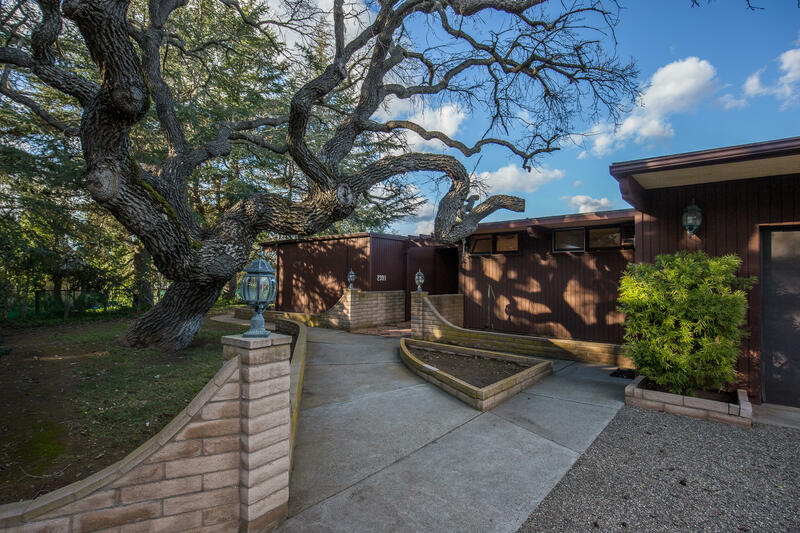 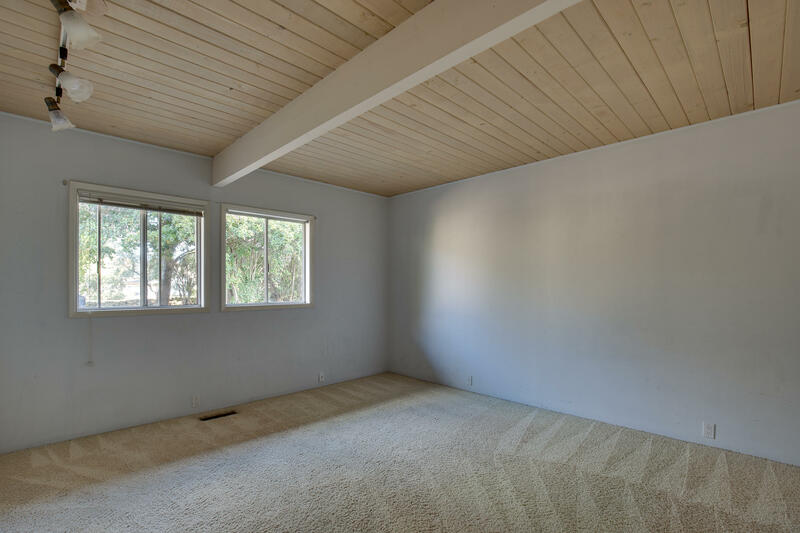 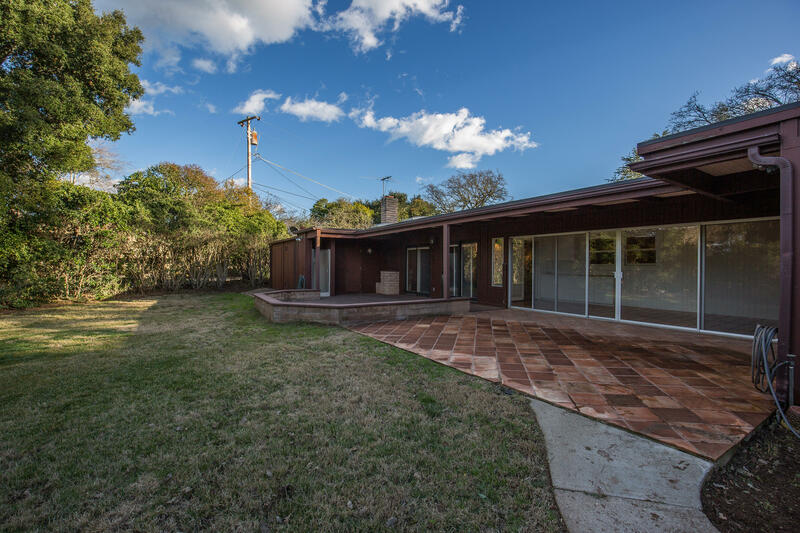 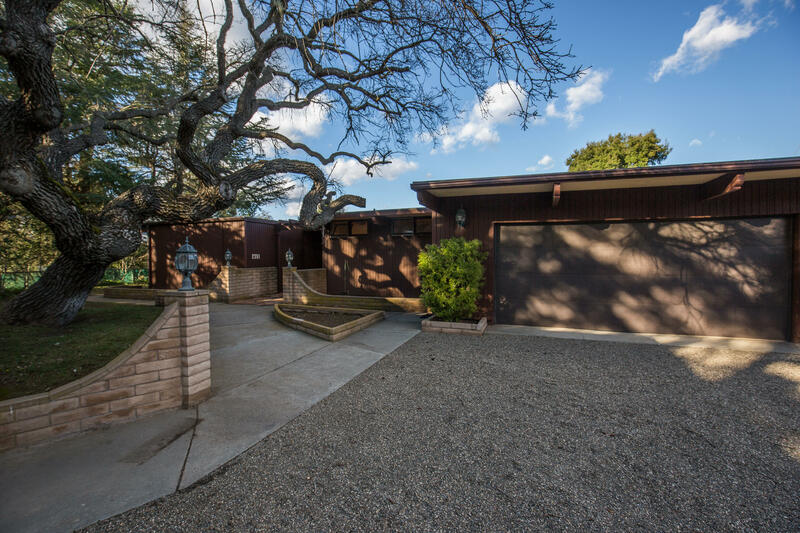 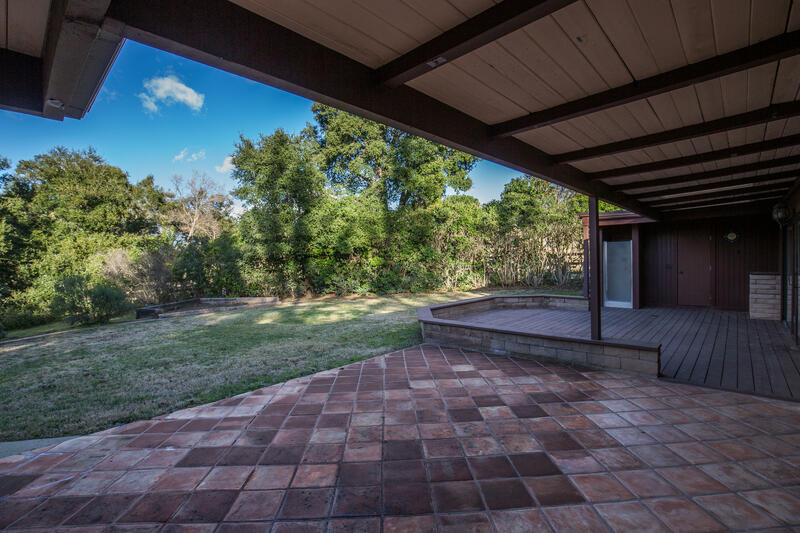 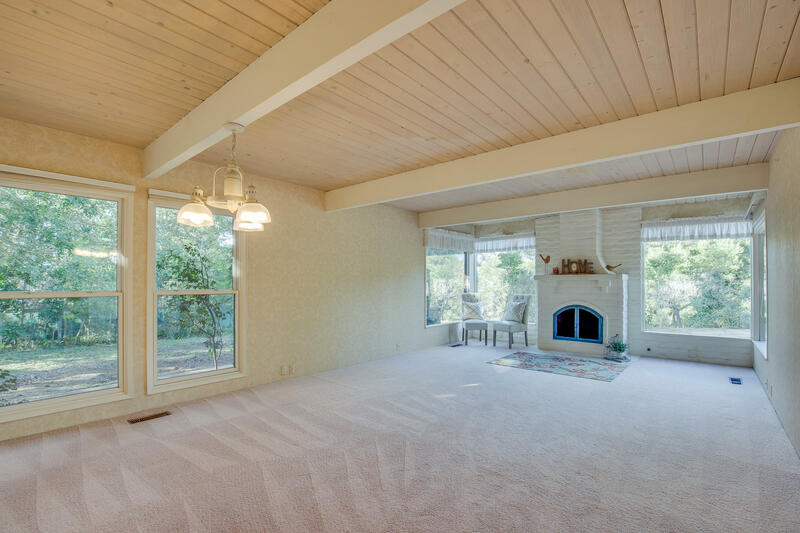 This 3 bd/3ba mid-century modern beauty includes spacious living room and family room with their own fabulous fireplaces. 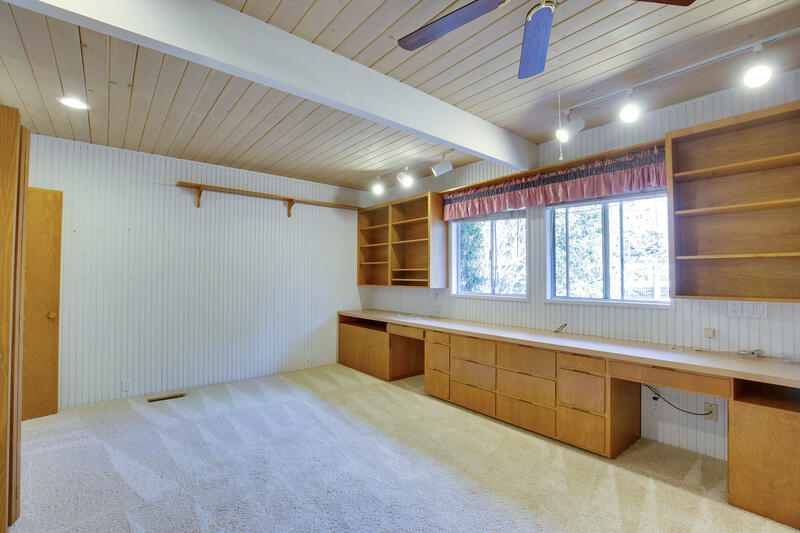 Spectacular floor plan includes master bedroom with three closets on the west wing and two bedrooms and bath located on east wing. 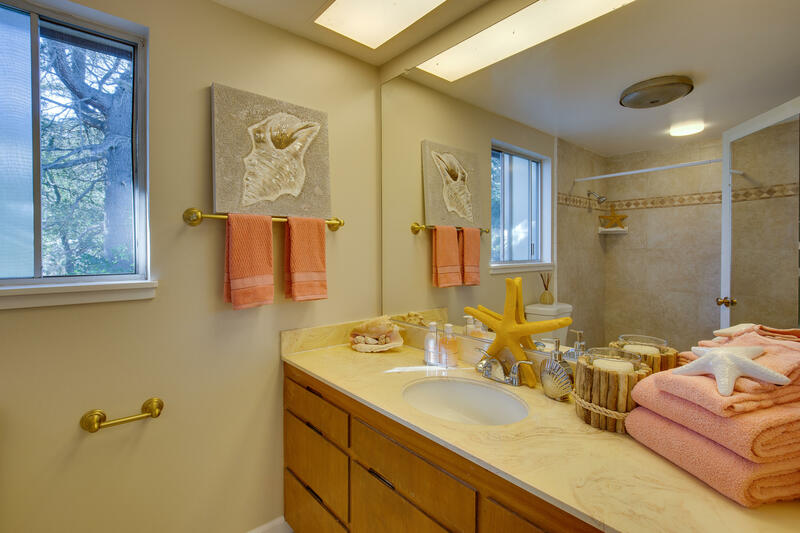 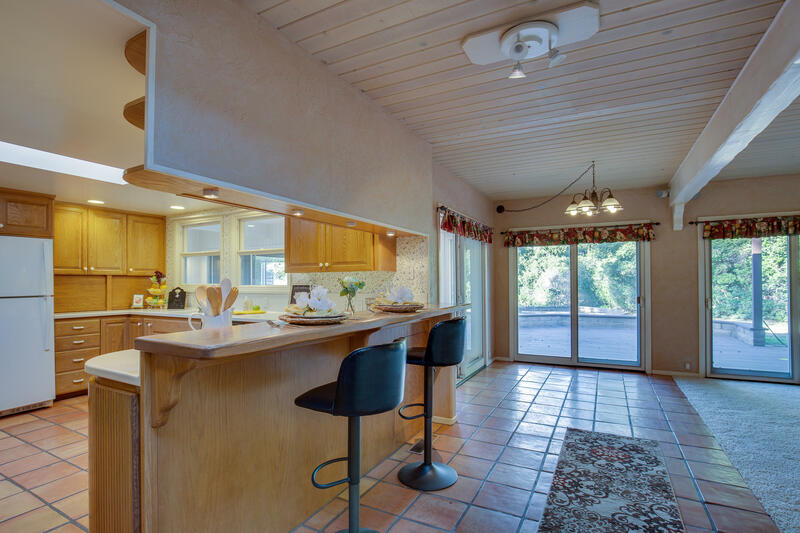 In between, is a marvelous kitchen with custom cabinetry for entertaining, sewing/office room with it's own bath and laundry room, and family room with plenty of custom storage cabinetry and sliding glass doors to the backyard. 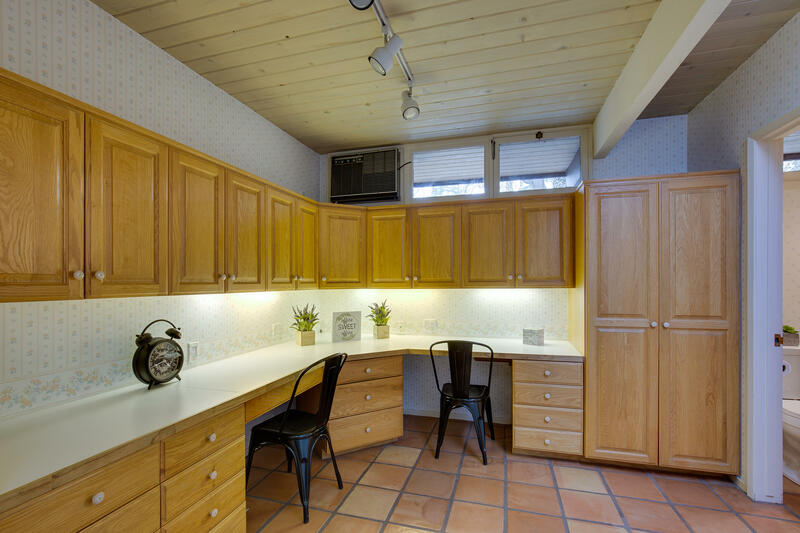 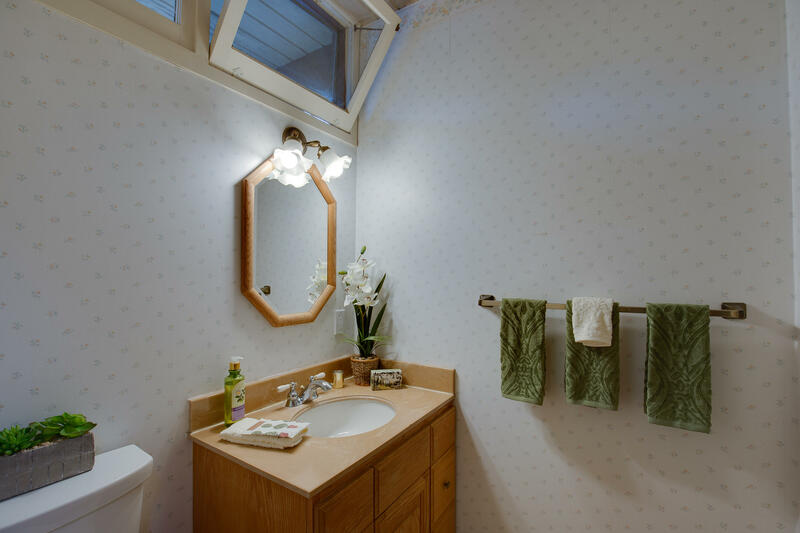 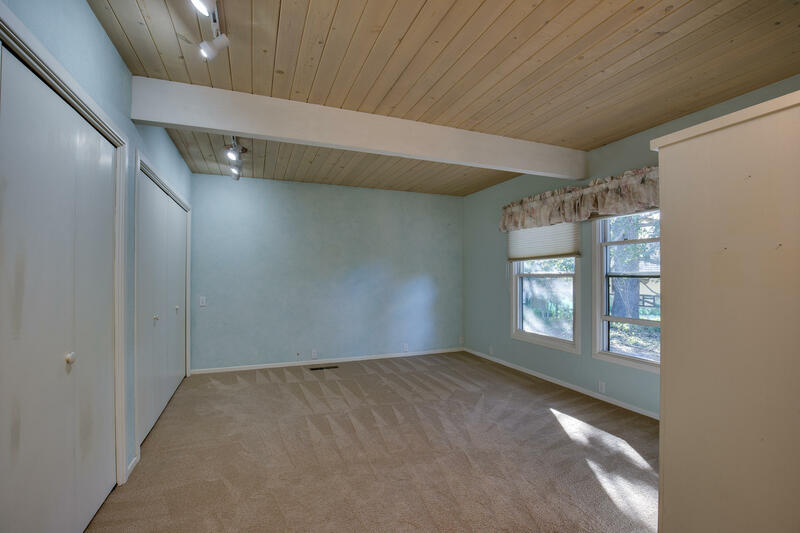 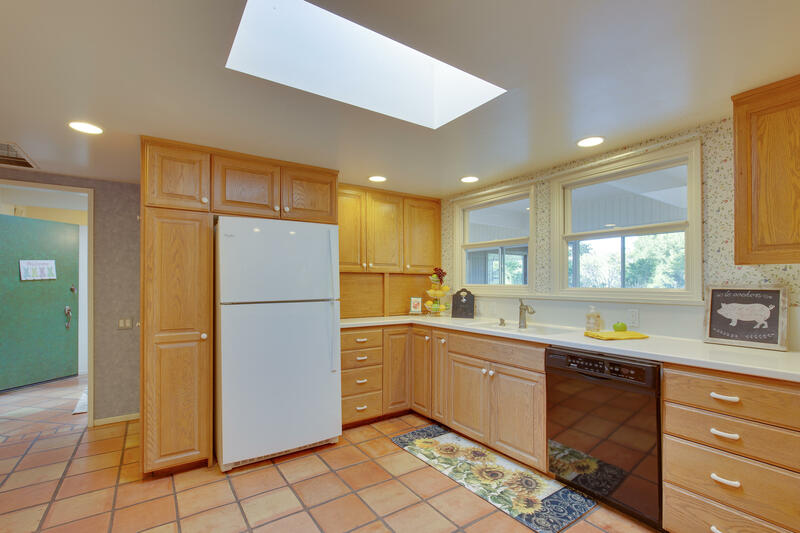 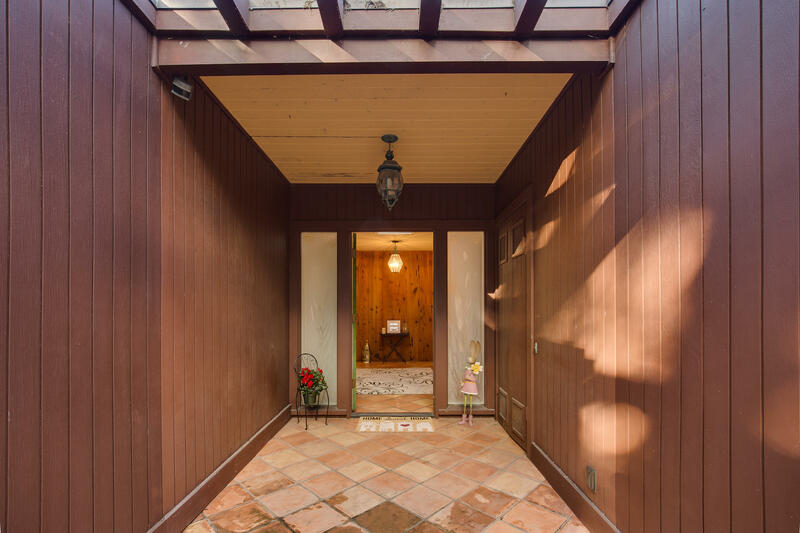 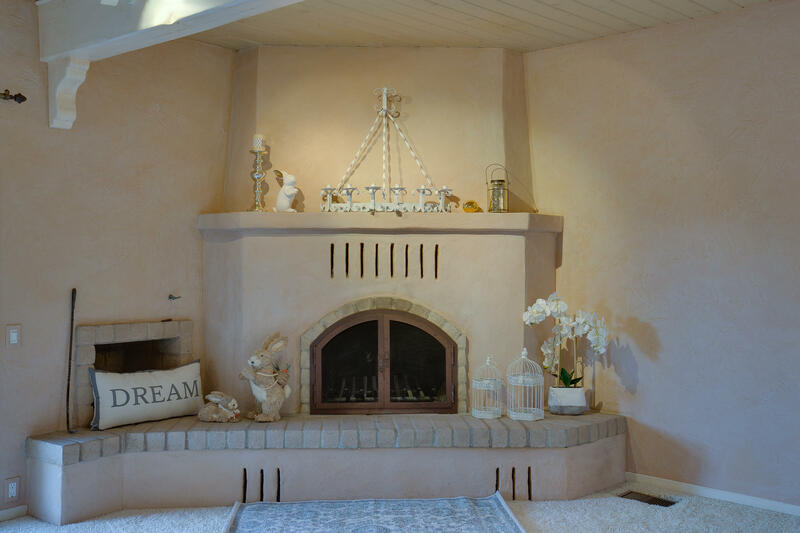 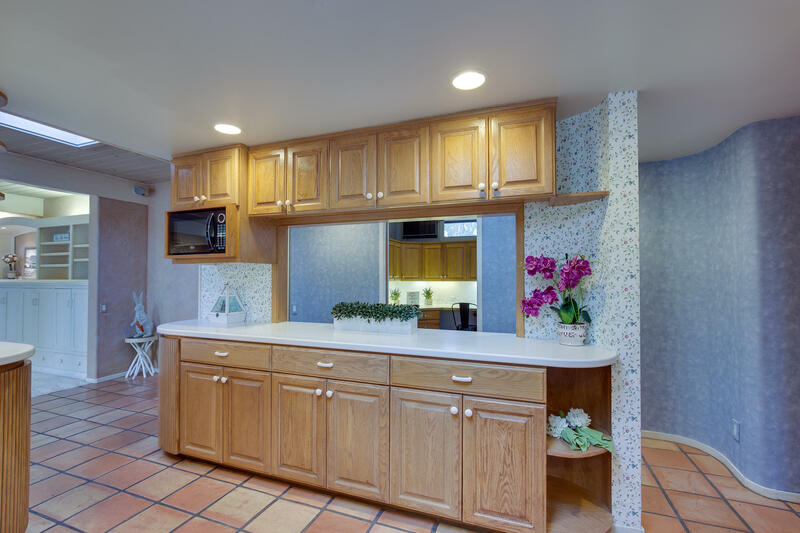 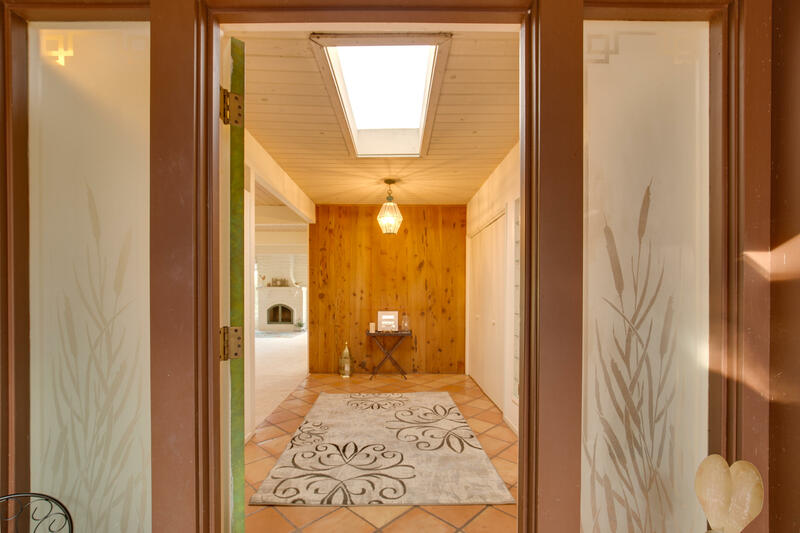 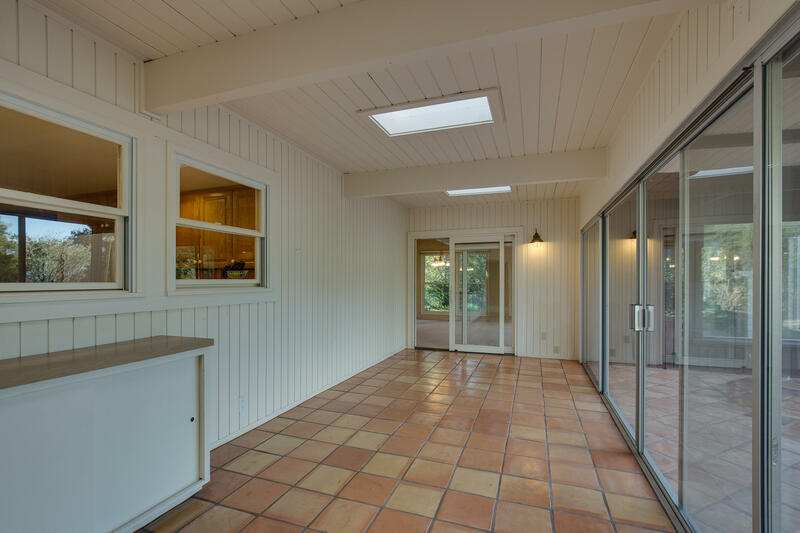 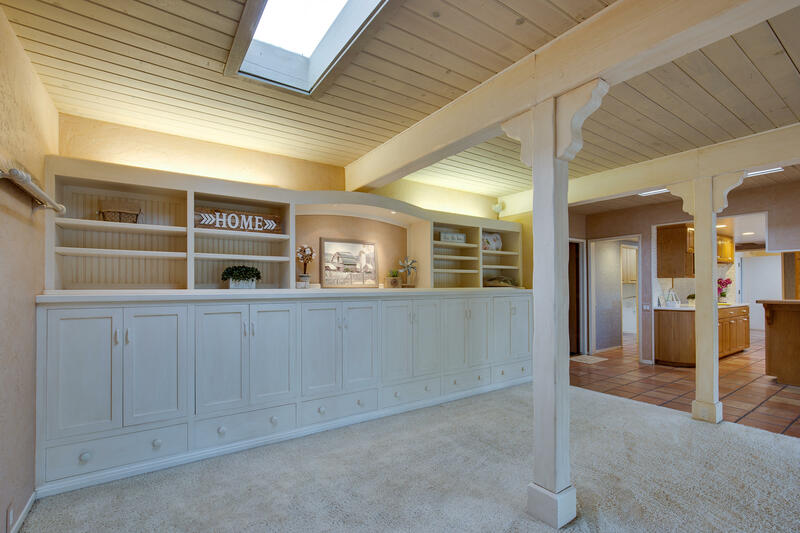 Off the kitchen is an enclosed patio with skylights to make this your own peaceful space. 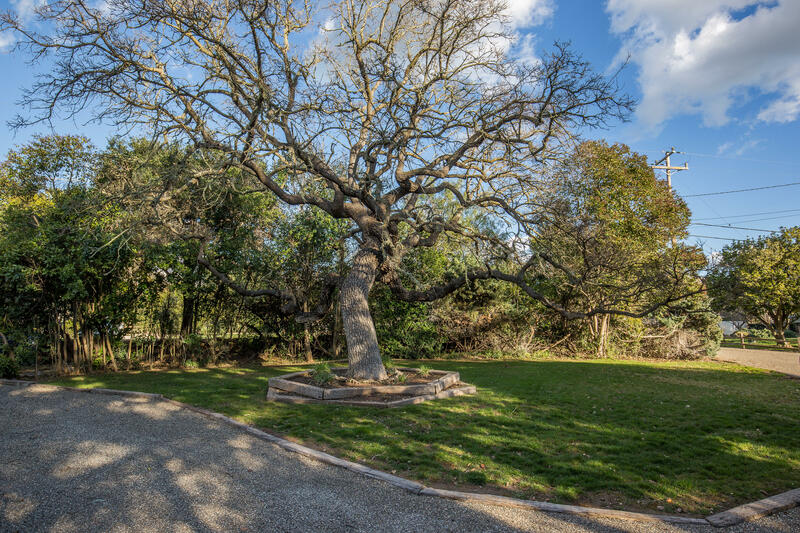 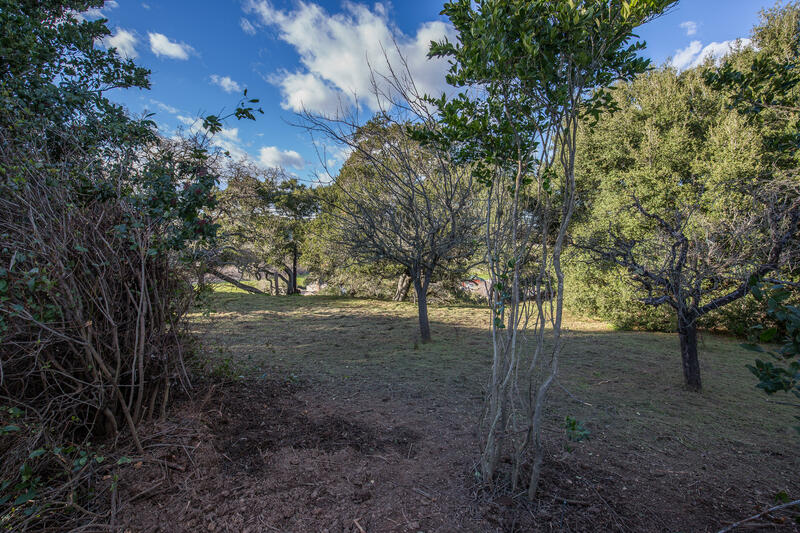 Backyard is private and large enough to imagine your outdoor entertainment while viewing the wild turkeys as they take a walk-a-bout through the property.